BlackBeltHelp is pleased to announce a strategic business partnership with Symbiosis Educational Consultants, an innovative, New York City-based instructional design firm. Symbiosis Educational Consultants builds affordable online courses and degree programs that create student-centered and pedagogically strong learning experiences. The firm has developed over 300 custom online and blended courses for higher-ed institutions. By providing expert instructional design, faculty development, strategic consulting, and staff augmentation, Symbiosis offers a refreshing, à la carte approach to online learning. 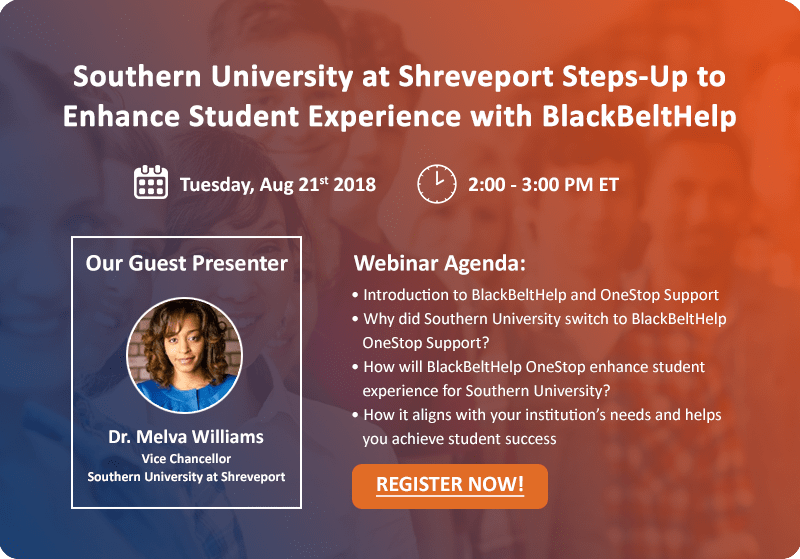 BlackBeltHelp’s integrated student support services and products are designed to meet the challenges of an evolving higher education landscape contending with declining support budgets, and rising student expectations. With over 200 higher education clients across US and Canada, BlackBeltHelp provides higher-ed institutions – customized, AI-powered, and Analytics-driven student services and products. Through this partnership, BlackBeltHelp and Symbiosis will work towards creating integrated student and faculty success solutions by leveraging respective strengths on predictive analytics, artificial intelligence, and superior instructional design focused on retention. “We’re constantly discussing and thinking of ways we can help higher ed institutions to better afford and develop their online learning experiences. By teaming up with BlackBeltHelp, we’re able to offer a wider range of solutions we are proud of,” says Joseph Thomas, Chief Academic Officer at Symbiosis Educational Consultants. This collaboration will benefit each company’s client-base by creating a great experience for the end-user, increased enrollment and retention, access to unparalleled education, and support for all students. By combining Symbiosis’s quality online course design processes with BlackBeltHelp’s extensive, centralized support services, this partnership establishes a beneficial outcome for all parties. “BlackBeltHelp provides comprehensive one-stop student services and applications to approx. 200 institutions across US and Canada. This partnership with Symbiosis Educational Consultants will further our outreach and help us serve a greater number of students and institutions,” says Tracy Thomson, President at BlackBeltHelp. Symbiosis Educational Consultants is an affordable fee-for-service instructional design firm that is committed to the development and maintenance of online programs for colleges and universities. Symbiosis’ comprehensive approach to building and delivering quality, custom-tailored online courses sets the stage for desired outcomes associated with student persistence, completion, retention, and graduation. BlackBeltHelp is a 100% higher-education focused, one-stop student services provider. BlackBeltHelp provides a positive support experience to approx. 400,000 students with 1 million Interactions every year by leveraging innovative technologies like Artificial Intelligence, Business Process Automation, Analytics & Reporting.